Pear wood and boar bristle travel size beard brush. 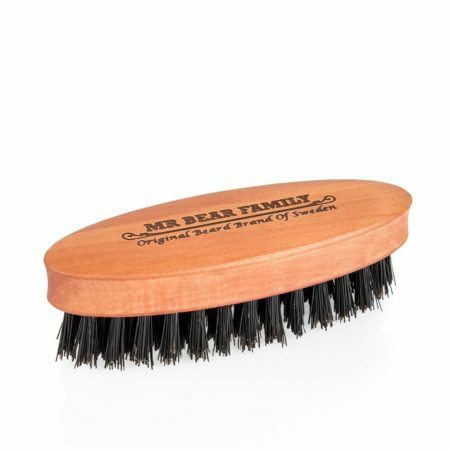 The Mr Bear Family Travel Size Beard Brush is made from 100% pear wood and boar bristles. It does everything the full size brush does but is perfectly sized for travel. It will keep the beard in shape, softens it and removes loose hair and dry skin. 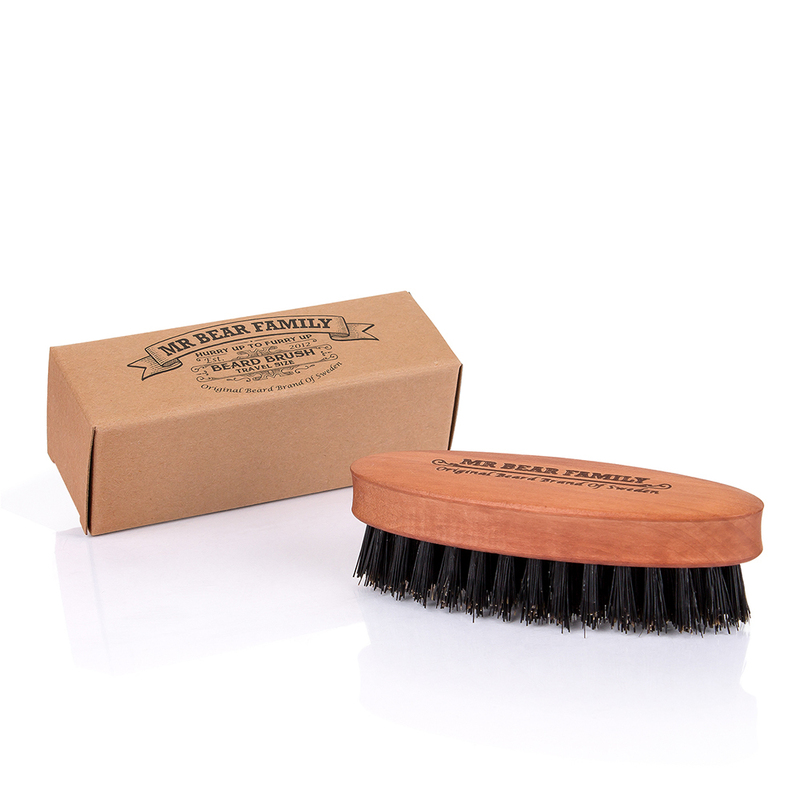 Regular brushing vitalizes the skin and prevents a dry beard. What's more, it feels great! Pop one in your wash bag before you leave for your holidays.